Working together to make a better future for LGBT youth and adults. Parents, Families and Friends of Lesbians and Gays of Gainesville (PFLAG Gainesville) is a newly formed chapter of PFLAG, the nation's foremost family-based organization committed to the civil rights of lesbian, gay, bisexual and transgender (LGBT) people. 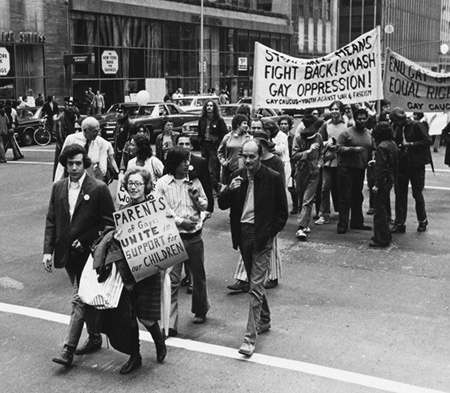 Launched in New York City in 1973 by mothers and fathers who stood up for their gay children, PFLAG's national movement now has more than 250,000 members and supporters in over 500 chapters throughout the United States. PFLAG Gainesville's mission is to create a better future for lesbian, gay, bisexual, and transgender (LGBT) youth and adults through a partnership of parents, allies, and LGBT people. PFLAG's unique voice has helped thousands by making schools safer, keeping families stronger, improving the workplace, and educating the general public. The Mission of the PFLAG Organization is to promote the health and well-being of lesbian, gay, bisexual and transgender persons, their families and friends through: support, to cope with an adverse society; education, to enlighten an ill-informed public; and advocacy, to end discrimination and to secure equal civil rights. Parents, Families and Friends of Lesbians and Gays provides opportunity for dialogue about sexual orientation and gender identity, and acts to create a society that is healthy and respectful of human diversity.